Du Tri Multisport launched Coach3 in 2013. It is more than just another coaching service. It is coaching with a difference. Our unique coaching methodology offers not just one, but a team of coaches specializing in different aspects and disciplines of triathlon. The team collaboratively designs and delivers training plans based on your level of fitness, skills, goals and personal schedule. Your plan is optimized based on your progress and event schedule. Rob Cole has been with Du Tri for 4 years. He is an active competitive athlete and leads the Swim and Cycling programs. Rob has experience working with athletes of all abilities and has extensive experience coaching triathletes, long distance endurance open water swimmers, and cyclists in all disciplines. His triathlon experience started in 1985 and he has been coaching multisport athletes for many years. Rob is a lifetime and competitive collegiate swimmer. He has achieved USAT All American status numerous times and podium finishes in triathlon, cycling, running and swimming events. 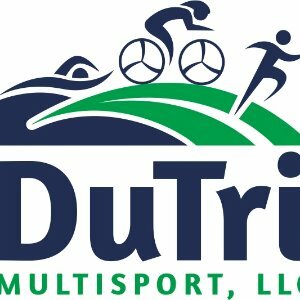 Ann Partel formed Du Tri Multisport to offer multisport athletes of all ages and experience, local opportunities for training and fitness services. Her experience includes sprint to half-ironman distances, coach certifications in swim, bike and run with several podium finishes. Ann believes that multisport is the ultimate lifestyle sport and has cheered athletes in their 80's cross sprint to Ironman finish lines. We specialize in beginner to intermediate athletes and will consult with them to get proper equipment. Success. Coach Coach3 (Rob Cole and Ann Partel) has been notified of your message.